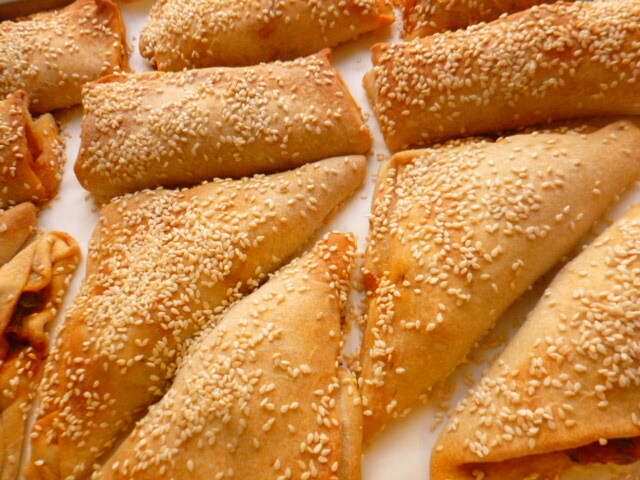 The recipe here, from the fabulous traditional Sephardic cuisine, requires some preparation and practice. 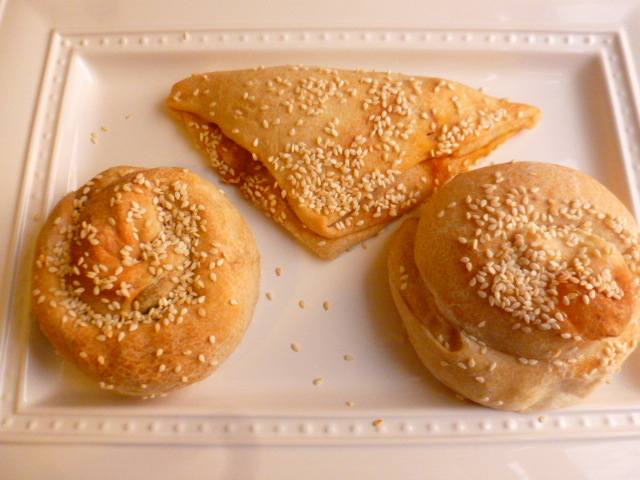 However, the result is so tasty and unique, that I’m sure that once you’ll make and taste these wonderful savory pastries, you will see they are well worth the effort. 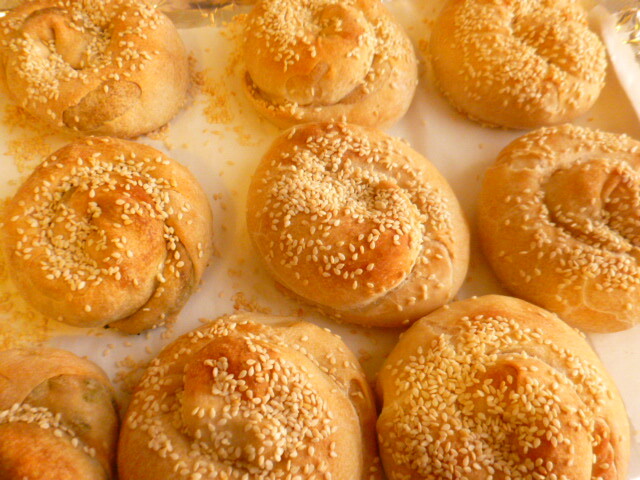 Unlike what the first sentence in there says, that Izmir “is practically the only city where it is prepared for commercial purposes and follows the original recipe”, Israel, where the majority of the Jews from Izmir moved to, is another place where the pastries are sold commercially and are well known and loved all over the country, by people of all origins. For more information about Sephardic origins, check out this post. The pastries are traditionally prepared for weekend brunch, and served with fresh small diced vegetables salad, yogurt and hard boiled eggs on the side. They are also perfect for mid-week breakfast, lunch, or even a light dinner. 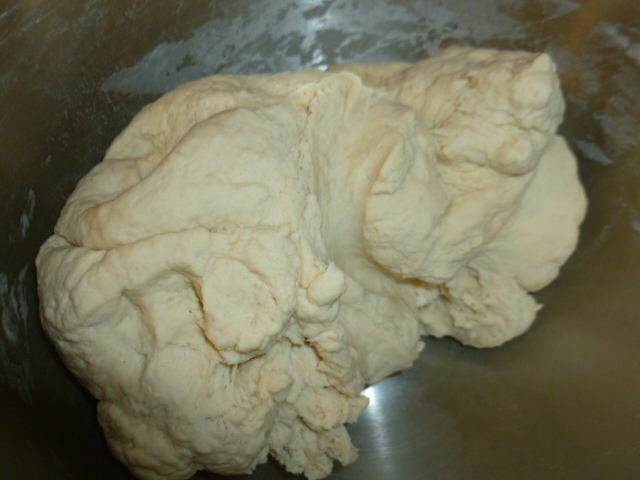 * The dough is a type of Fillo/Strudel dough, with the difference that you stretch it using oil. 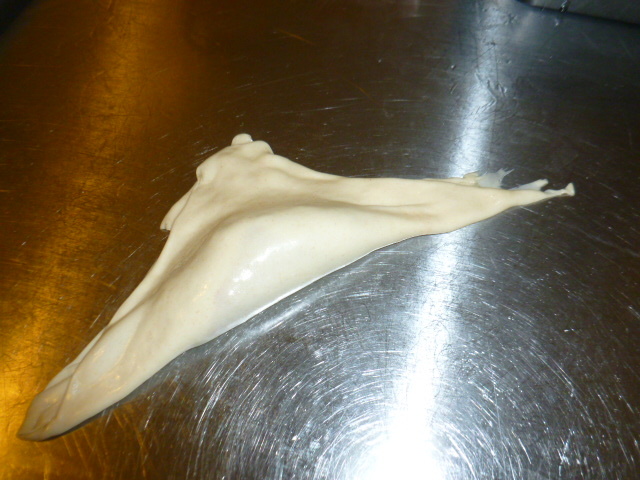 * The dough needs to “rest” for at least 4 hours, preferably overnight, before stretching. So plan ahead accordingly. 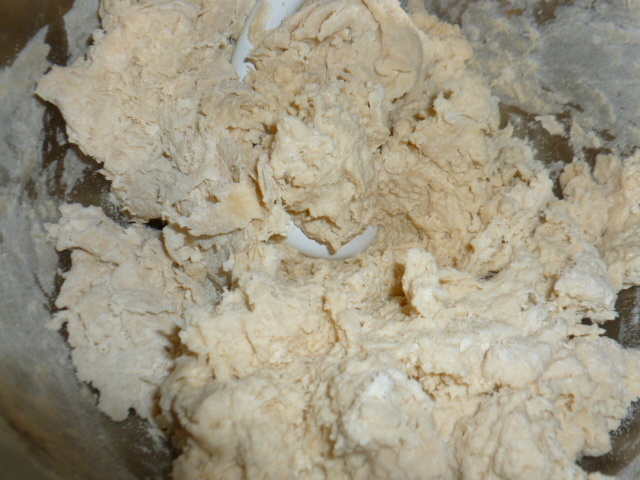 * Since the dough requires early preparation, is makes sense to make a fairly large amount, especially since the baked pastries freeze well, in an airtight container, for up to 2-3 weeks. 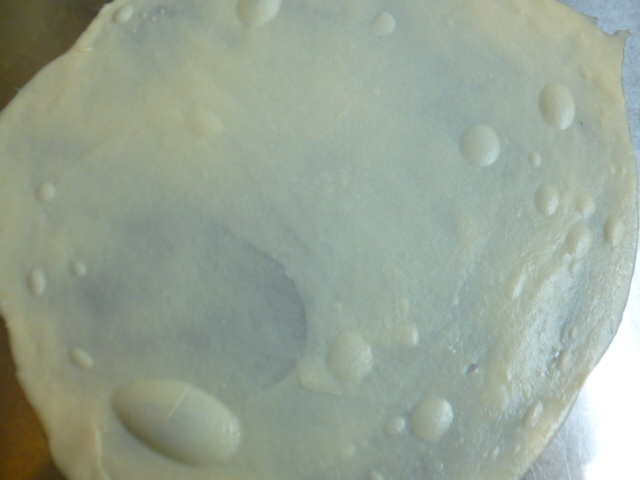 Just make sure to bring them to room temperature and reheat them in a toaster oven, NOT in the microwave, and you’ll be able to enjoy an almost fresh-like pastry. * Don’t let the amount of oil for the “resting” stage intimidate you. 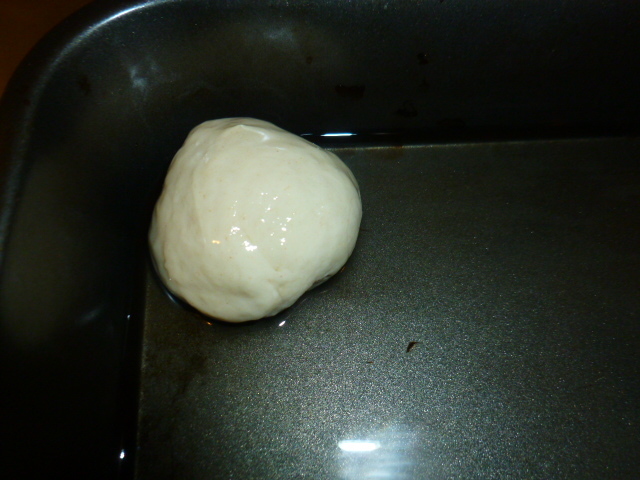 It is not absorbed in the dough while “resting”, and you will see at the end of the process that most of it remains in the pan. 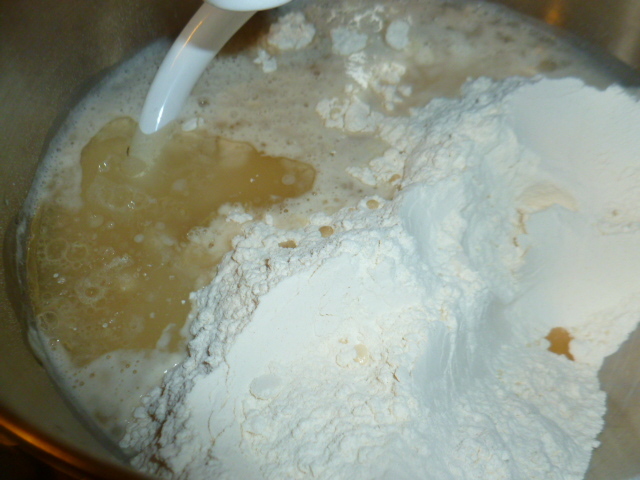 * Don’t be tempted to use bread flour – the dough will turn out too dense. AP flour works best here. Filling options (all seasoned with salt and black pepper): 1. 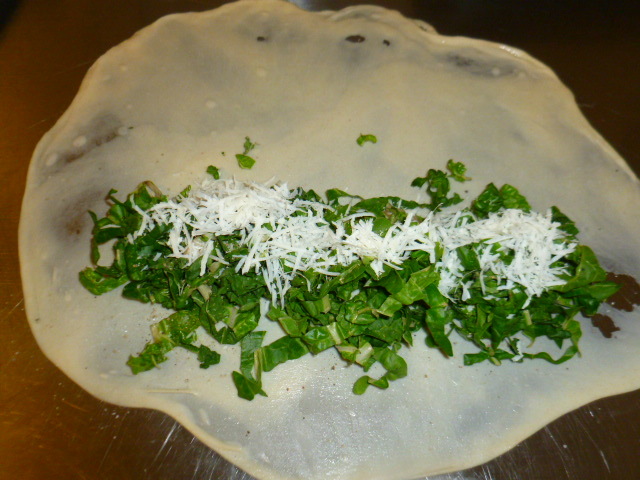 Thinly cut Swiss Chard, topped with finely grated Pecorino cheese. 2. 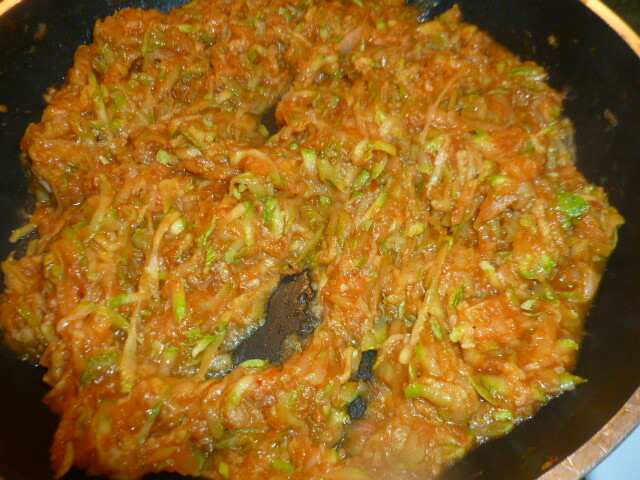 Cooked mixture of grated onions, zucchini and tomato paste. 3. 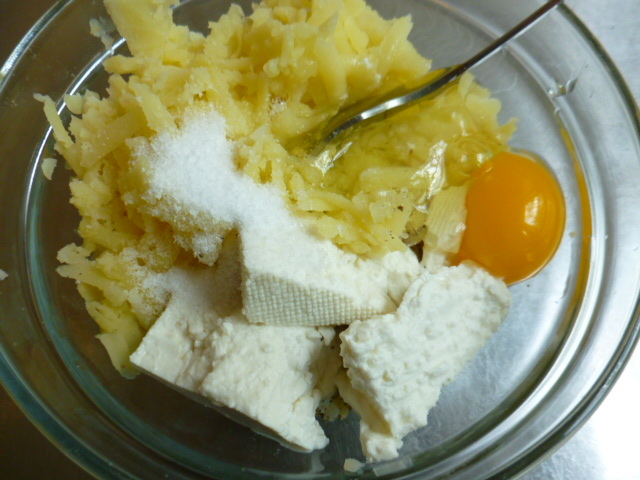 A mixture of mashed cooked potato, feta cheese and an egg. 2. 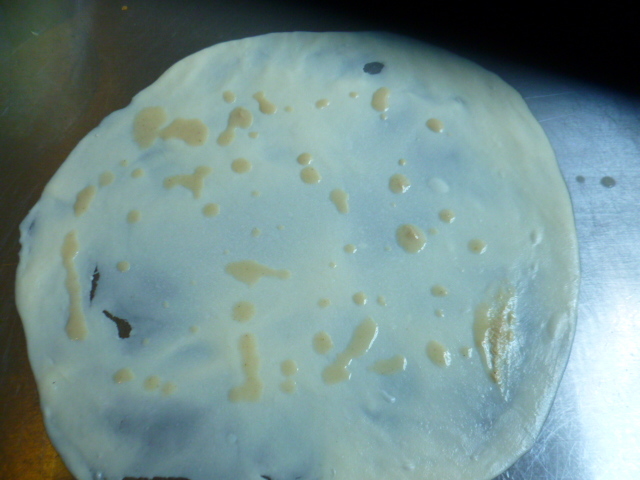 Pour 2 cups oil into a deep medium size pan. 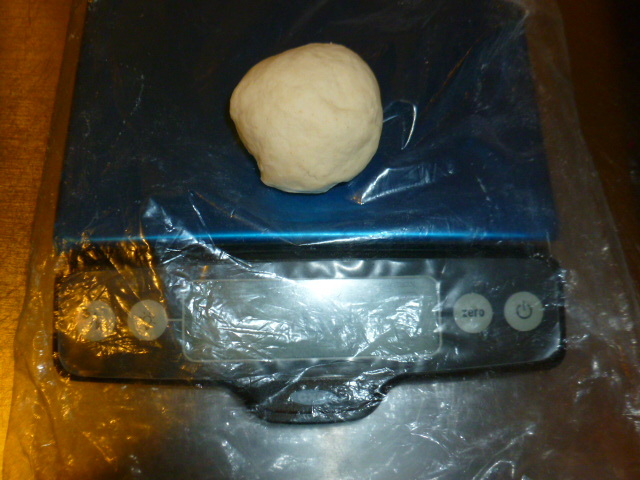 Divide the dough into 30 balls of 2.2 oz (60 grams). 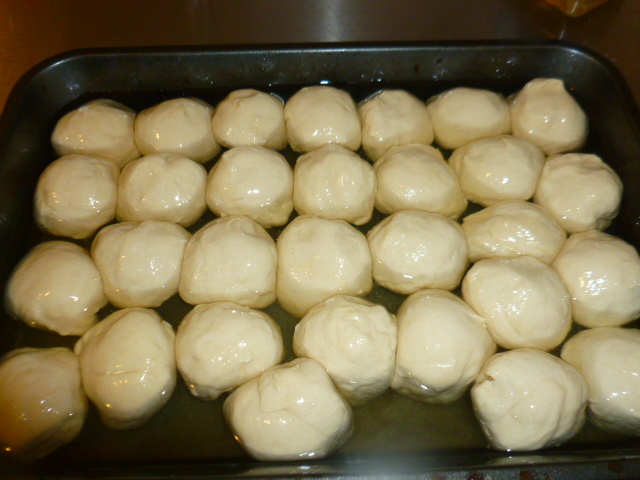 Roll each dough ball in the oil and place them, in one layer, in the pan. 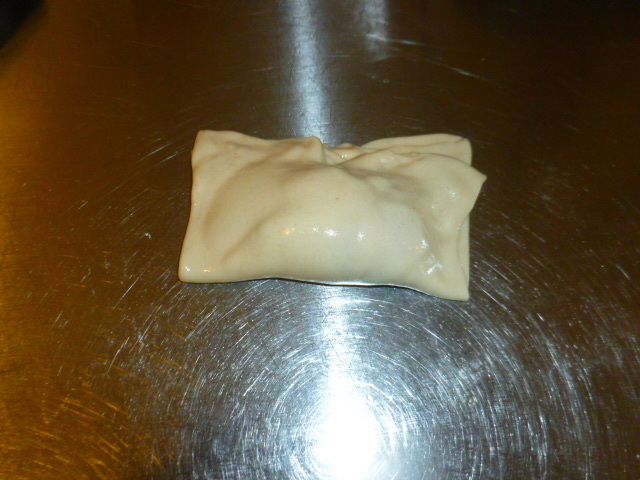 Cover with plastic wrap and leave for at least 4 hours, preferably overnight, at room temperature. 3. Meanwhile, prepare the fillings: thinly cut the washed and drained Swiss Chard leaves (keep the stems to prepare a cooked salad, as shown HERE) and place on a kitchen towel to dry out (preferably overnight). 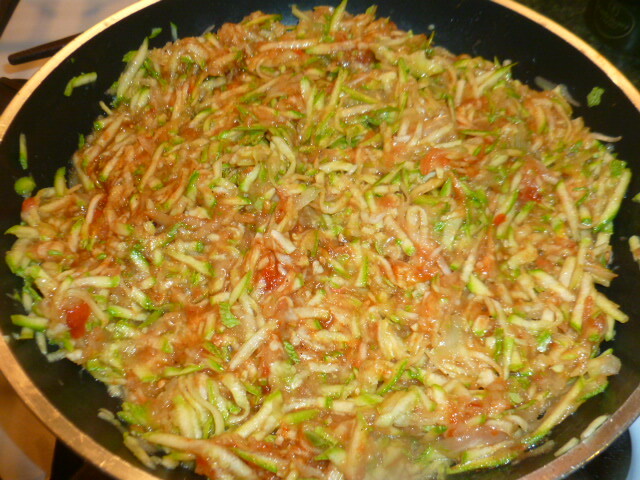 Cook the mixture of grated zucchini, onions and tomatoes, with a bit of oil and tomato paste, salt and pepper, until well cooked and without liquids (this too can be done a day ahead). Cook the potatoes in their skin, let cool and peel. 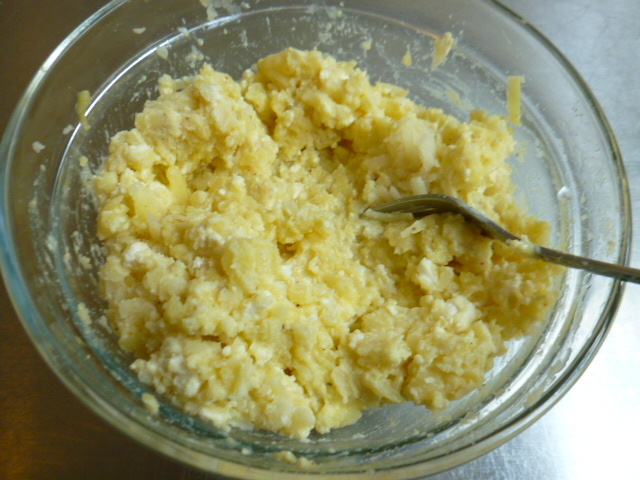 Mash roughly and add feta cheese, egg, salt and pepper. 4. 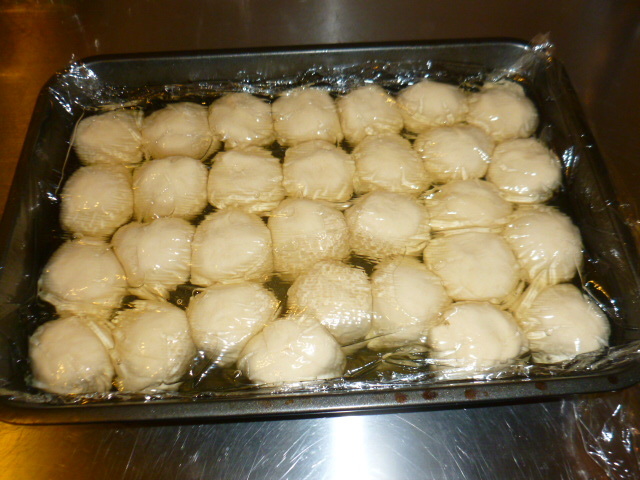 After at least 4 hours, or on the following day, line 2 baking sheet pans with baking paper. Preheat the oven to 355F (180C). 5. 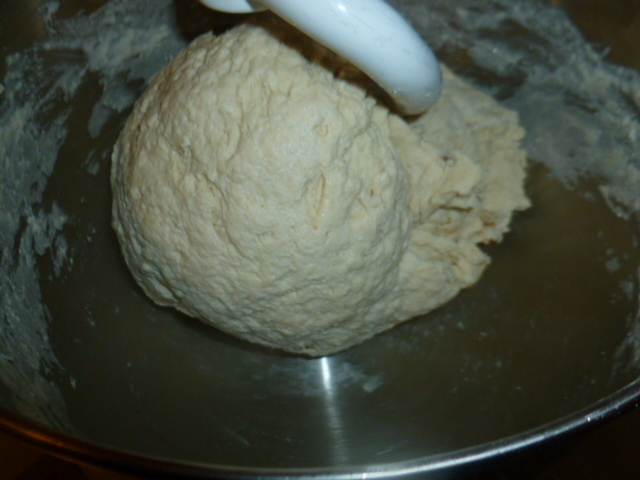 Take one dough ball and place it on a large, smooth work space. 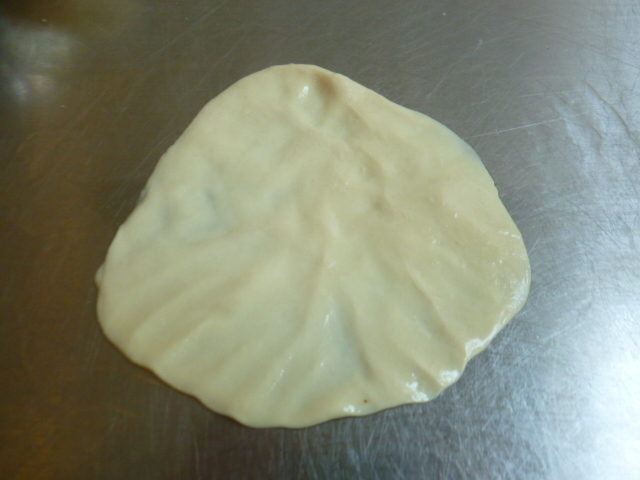 Pat the dough flat with the palm of your hand and start pressing it gently, to flatten it. 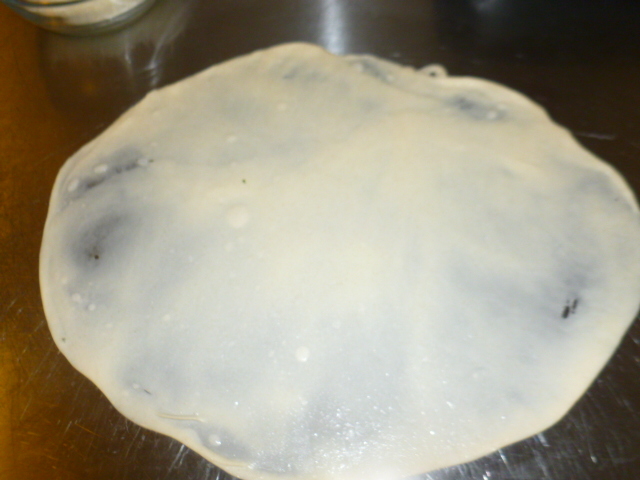 Now, very gently, with your fingers, start pressing and pulling the dough from all sides, so it stretches and turns into a paper-thin circle, about 9.5” (24cm). 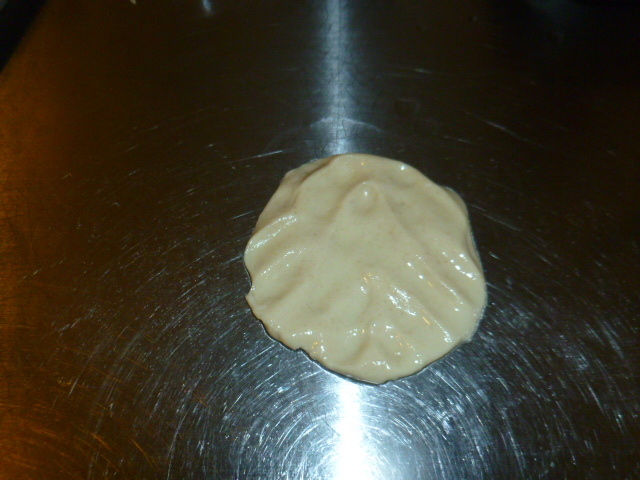 If using, mix the Tahini with a bit of oil from the pan, and drizzle a bit over it. 5. 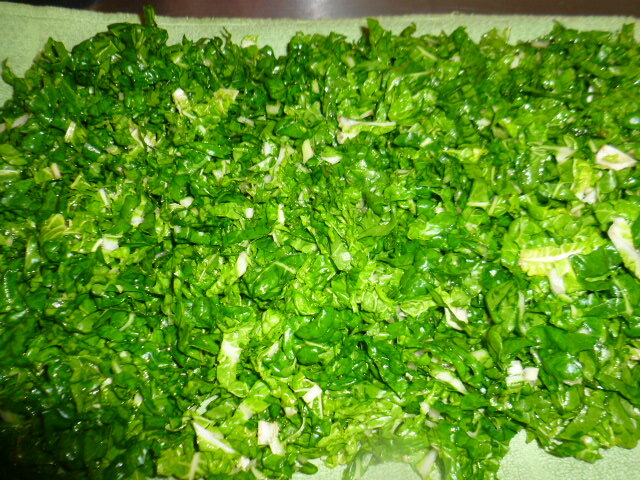 Filling: The Swiss Chard: place a generous handful of the cut Swiss Chard at one end of the circle. 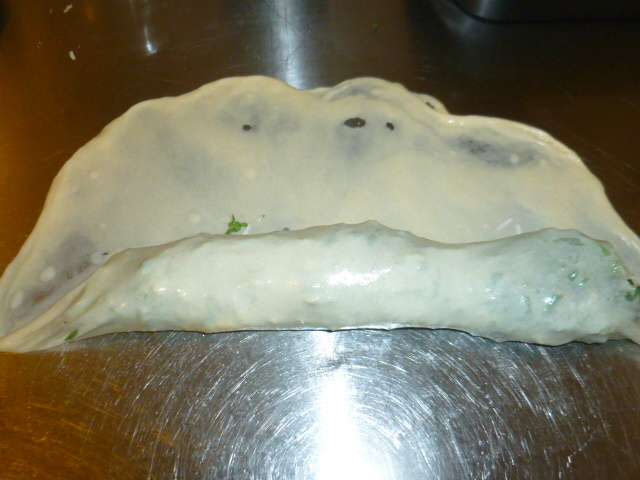 Top with a bit of the cheese, salt and pepper. 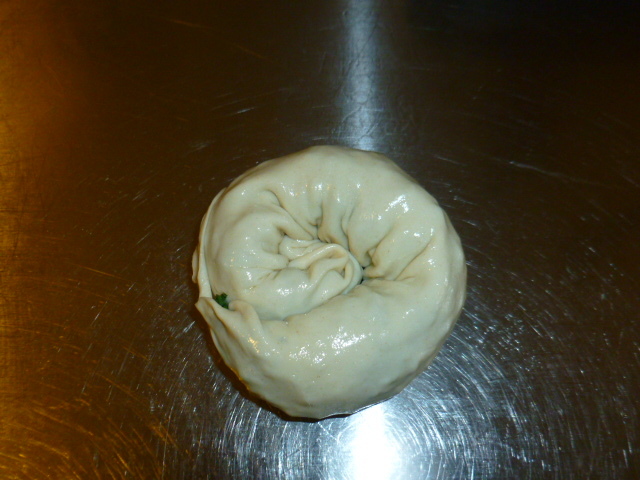 Gently fold the dough over the filling, and roll into a roulade, then form it into a spiral. 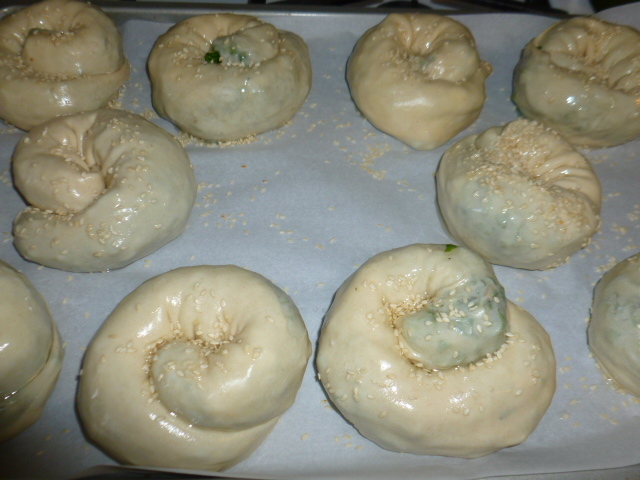 Place in the baking sheet and sprinkle with sesame seeds. 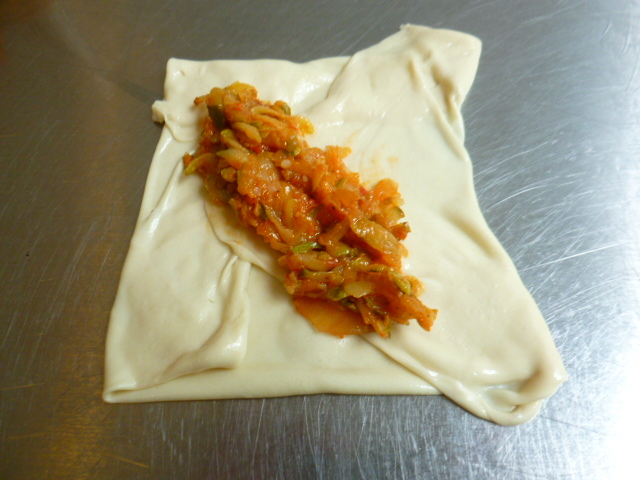 The zucchini or potato-cheese filling: fold the dough ends, from all sides, towards the center, creating a square. 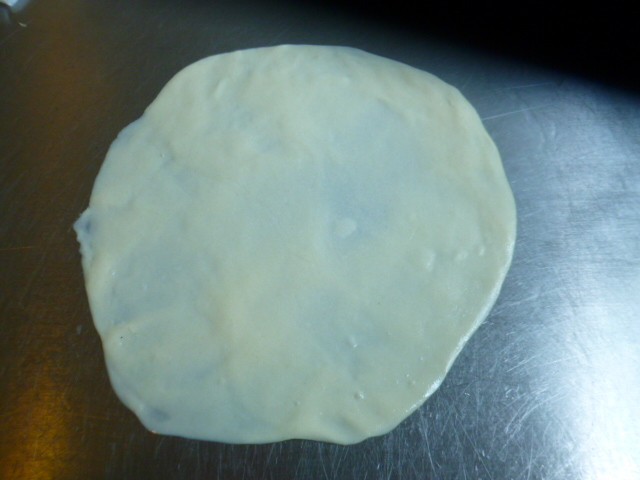 Place a tablespoon of the filling on the center and fold into a triangle or a rectangle. 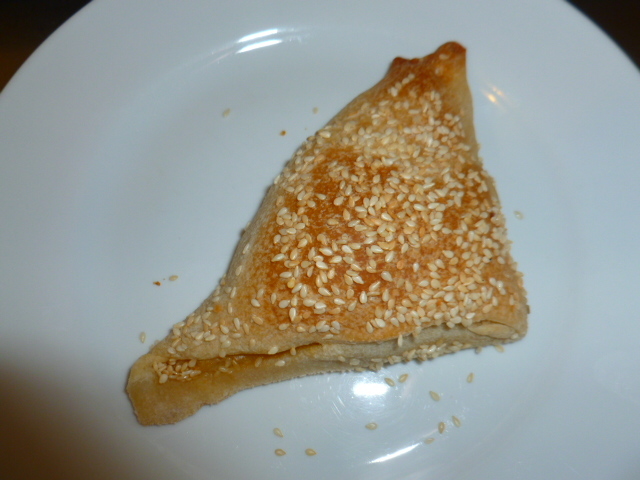 Sprinkle sesame seeds on top. 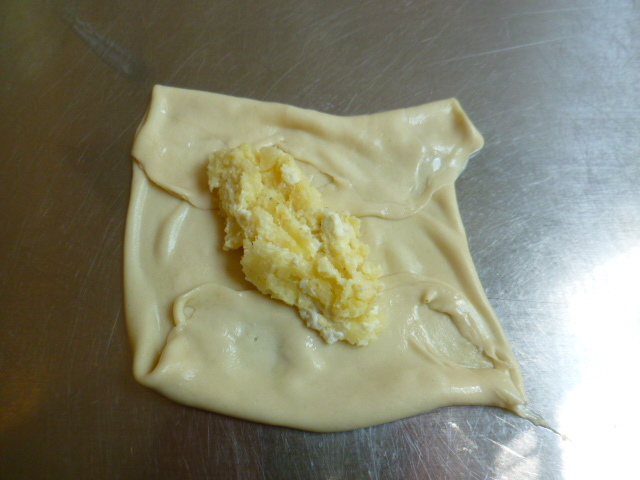 Bake for about 30-35 minutes, or until the pastries are golden-brown. Thank you Marta! You are so right, we really need to cherish these recipes and document them. They are cultural treasures, with so much history and memories in them. As much as I know it’s not possible in today’s world to rely on them alone, it’s still so important to make such recipes every so often, and keep these wonderful culinary traditions alive. oh my goodness, it looks delicious! וואו , עשית אותי רעב ברגע. נראה לי שאני הולך להכין בויוס לשבת בבוקר. 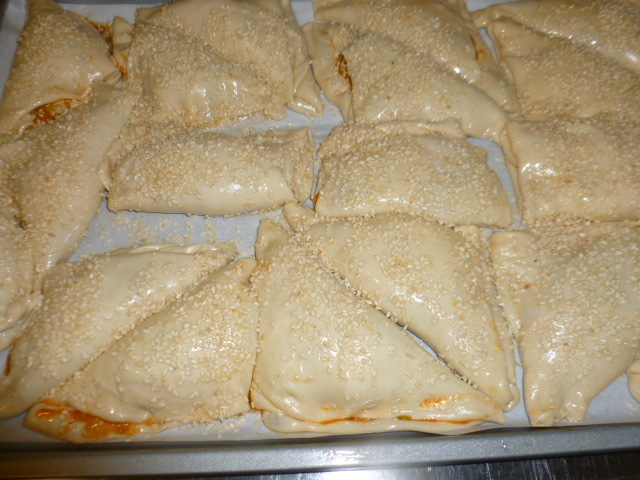 The fillings are light and so even though the pastries are relatively big, they are not heavy at all. It looks absolutely amazing, I think I already know what to bake tomorrow! These look well worth the work. What a treat! Thank you Glyn. I’m glad you’ve found this old family treasure suitable for your retreat. Looks a bit intimidating but also looks like it would be well worth the effort! The spirals with the Swiss Chard are especially appealing to me. Love hearing the history behind these. Thank you Greg! I’m glad to hear you’ve found this recipe history interesting. נראה מעולה ברמות על!! עשית את כולנו רעבים..
אני מגיעה באוקטובר, מקווה שיצא לנו להיפגש. You’re right, it looks delicious but it’s a lot of work. I might wait for an invite to afternoon tea. Ooh.. Making me want to make some now! God bless Sephardic Jews! I’m going to look for a Sephardi site now! Thank you Dinie! I’m glad you liked the recipe. 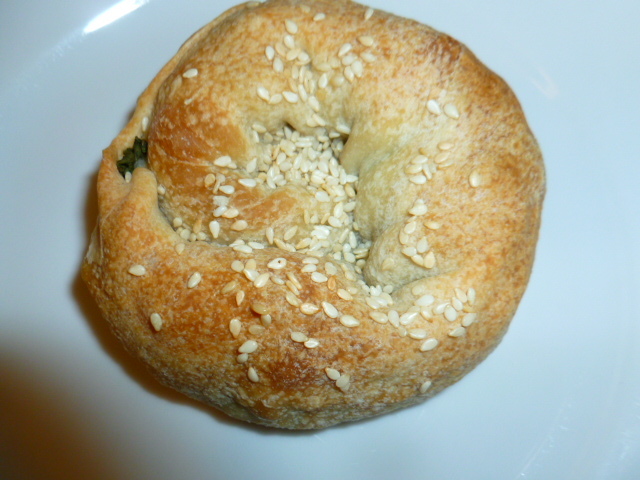 Sephardic Jews really have a wonderful cuisine. 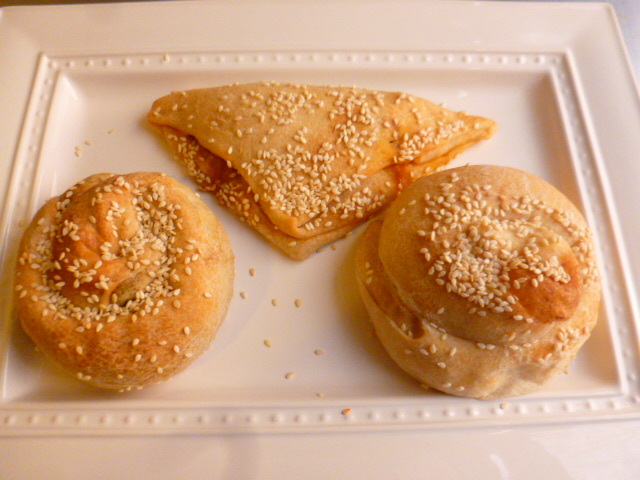 You can use the “search” button and find a few other posts with Sephardic recipes. Thanks! I found some websites on Google, bookmarked them yesterday! I will search your blog again too!